Location is everything. 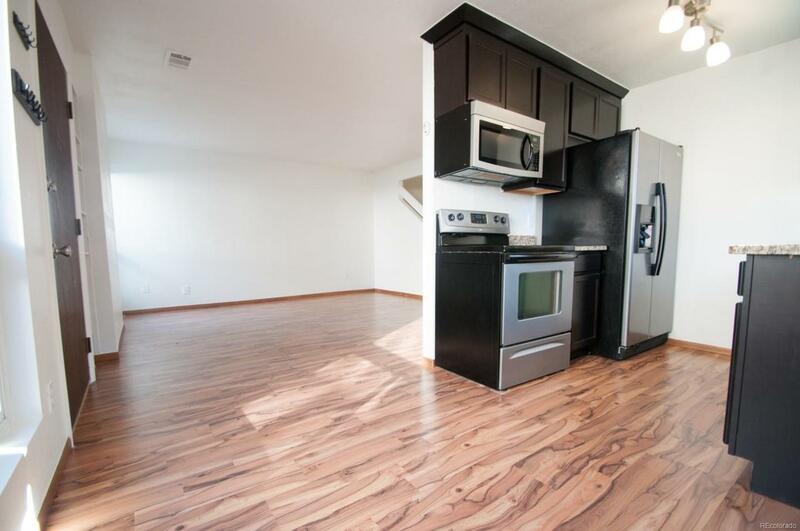 This fully remodeled 2 bedroom 2 bathroom townhome style condo is located in the heart of Lakewood. Walk or bike to shops and dining. Updated from top to bottom, with new cabinetry, granite countertops, appliances, vinyl windows, and laminate wood flooring. This corner unit has beautiful natural light, a large private fenced patio and is situated in a more secluded area of the community. Make this move-in ready property your home, or enjoy the rewards of owning this as a rental property. Easy to rent, in a very profitable area of the city. Low maintenance living in a community that offers a swimming pool, beautifully landscaped grounds, low HOA dues and easy access to so many amenities. Don't let this immaculate and well maintained home slip away. Offered by D Town Listings.